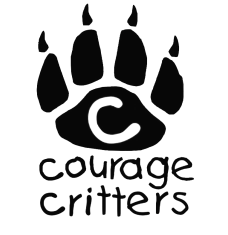 Courage Critters is an Online Program to help children stand up to common Fears and Learn how to control unwanted repetitive behaviors. Join our Courage club today and start helping the child in your life. Nothing feels better than being able to help a child. Our mission is to empower, support, protect and love children experiencing fear and unwanted behaviors. We specialize in decreasing childhood fears, tics, trichotillomanina, skin picking, and other body focused repetitive behaviors (BFRBs). Once you receive your Courage Critter, you will get a membership into the Courage Club! There is a password in your Critter's pocket that will give you special access to all of the wonderful skills we have to offer!